Beautiful 4 bed, 3.5 bath, 3 car garage home, just minutes from Fountain Hills, Mayo & BASIS schools, w/ amazing mountain views! Home features low maintenance desert front landscaping, vaulted ceilings, plantation shutters, balcony, spacious loft, cozy fireplace, designer paint & luxurious light fixtures throughout. Gourmet kitchen w/ SS appliances, granite counters, island w/ breakfast bar & plenty of cabinet space. Desired downstairs master w/ french doors to backyard, spa like bath w/ garden tub, separate shower, dual sinks & walk-in closet. 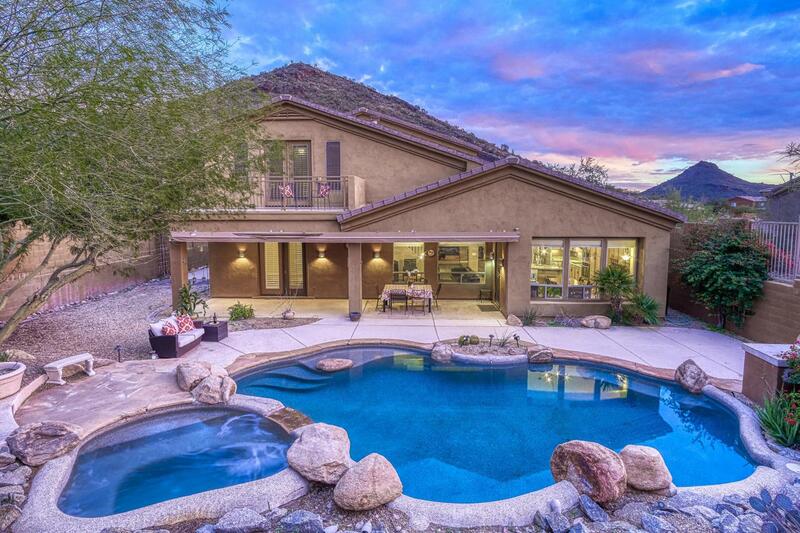 Backyard oasis boasts heated sparkling pool & spa, built-in BBQ, covered patio w/ misters & those gorgeous mountain views! !